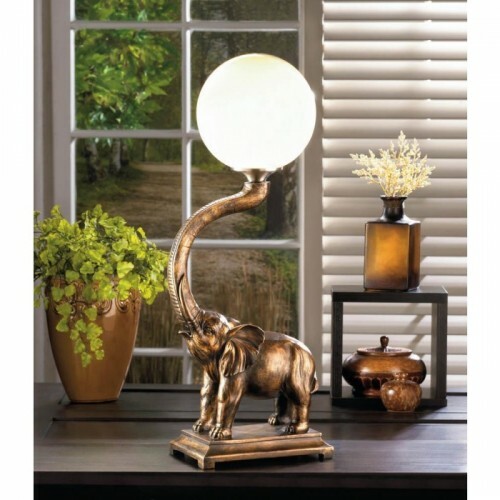 This trumpeting elephant will add charm to your decor while illuminating your living space. 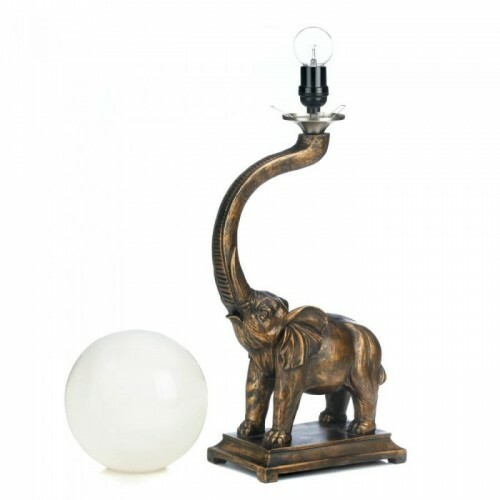 The polyresin base features a mighty elephant trumpeting with a white globe light balancing on the end of his trunk. 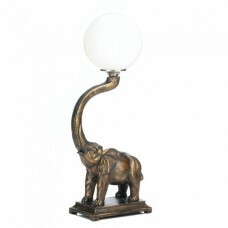 3W LED light bulb not included. 8.5" x 5.38" x 24.5"